BenQ unveiled a new addition to its award-winning laptop lineup today with the Joybook R48. Appealing to today’s internet-savvy bloggers, gamers, and multimedia enthusiasts, the BenQ R48 features an Intel Core i3 Processor; 14” 16:9 Screen (1366×768); ATI Mobility Radeon HD 5450 Graphics Processing Unit; DDR3 RAM (Upgradable to 4GB) and HDD up to 500GB. BenQ utilizes the Intel Hyper-Threading Technology2 (Intel® Core i3 processor) in Joybook R48. The BenQ Joybook R48 comes packaged with the SRS CS Headphone, this headphone uses an audio rendering technology that processes 2-channel stereo or surround-encoded content that provides users with a life-like audio experience during their VoIP, movie or gaming sessions. 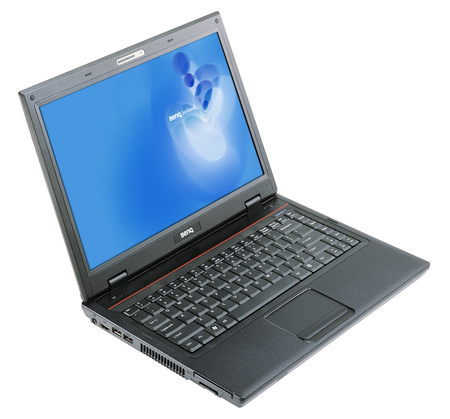 The BenQ Joybook R48 comes equipped dual 2W speakers; HDMI port; WLAN 802.11 b/g/n connectivity; 1.3M Webcam; Built-in Card-Reader; eSATA slot; and optional Bluetooth 2.1 device. Joybook R48 is available in China and Asia Pacific.